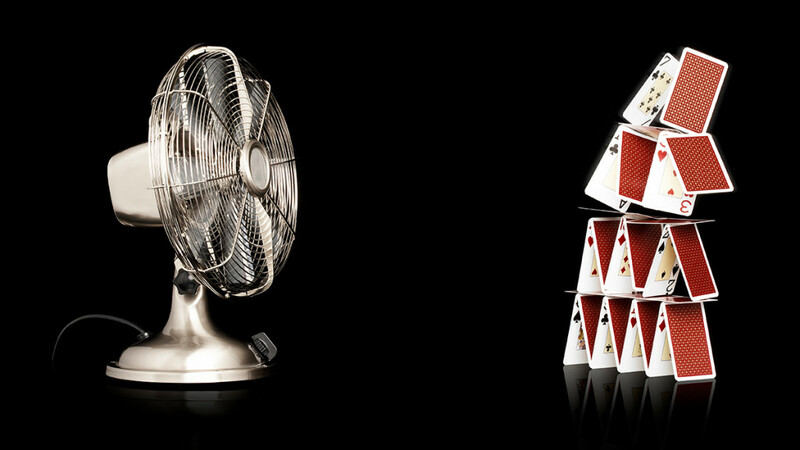 As uncertainty is increasing and competition is becoming more fierce, executives need to have a broader understanding of competition itself in order to sustain an edge. Executives should be thinking about four different types of competition to maintain relevance in a changing environment, which originate from our work on competitiveness, strategy, and strategic change. 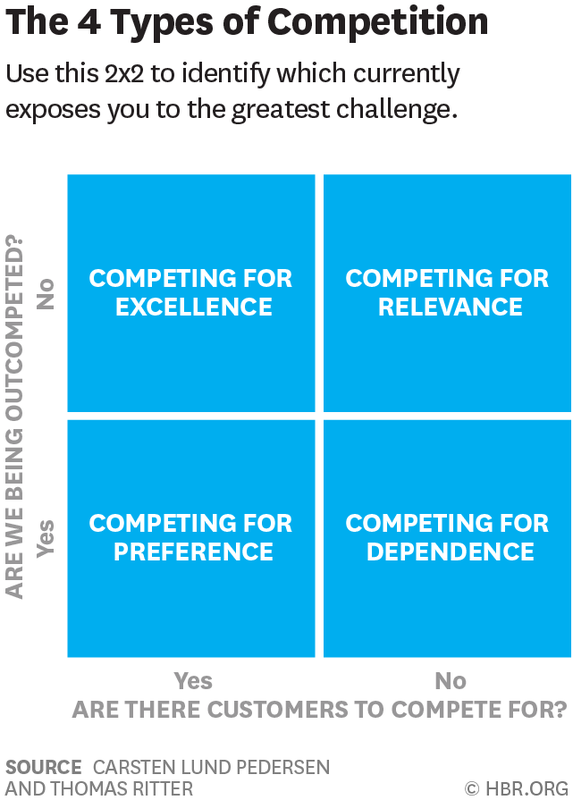 In the figure below, these four competition types are positioned along two dimensions, which reflect two distinct questions: (1) “Are there customers for which to compete?” and (2) “Are we being outcompeted?” These questions will help you identify the type of competition that currently exposes you to the greatest existential threats. Executives who consider and discuss all four types of competition will uncover important insights, and such an analysis can help move your strategy forward. Technological developments are often interesting to discuss in relation to relevance. For instance, numerous smartphone apps have been developed that do not solve any actual problems. A current example of uncertainty around relevance concerns blockchain, i.e. the technology behind virtual currencies such as bitcoin. On the one hand, it has been questioned whether blockchain is essentially hype, or whether it really fulfills an actual need among the mainstream public. On the other hand, if the blockchain technology really lives up to its promises of securing transparent and secure transmissions, then it will also challenge the relevance of intermediaries such as brokers and bankers who may no longer be needed. In other words, the technology can make brokers and bankers irrelevant. Consequently, the blockchain technology is a great example of the uncertainty that often accompanies new technological developments — it can either remove the relevance of established organizations or it can prove to be an unsustainable alternative without sufficient mainstream relevance.